A couple of weeks ago, I shared how to create your own watercolor paintings – it’s so easy to make your own custom art. My daughter, Lauren, helped me film the video, and when we were finished she started playing around with the markers and pens. A few hours later, I had a huge pad full of her hand drawn art that was all so precious, I just had to share it with you! 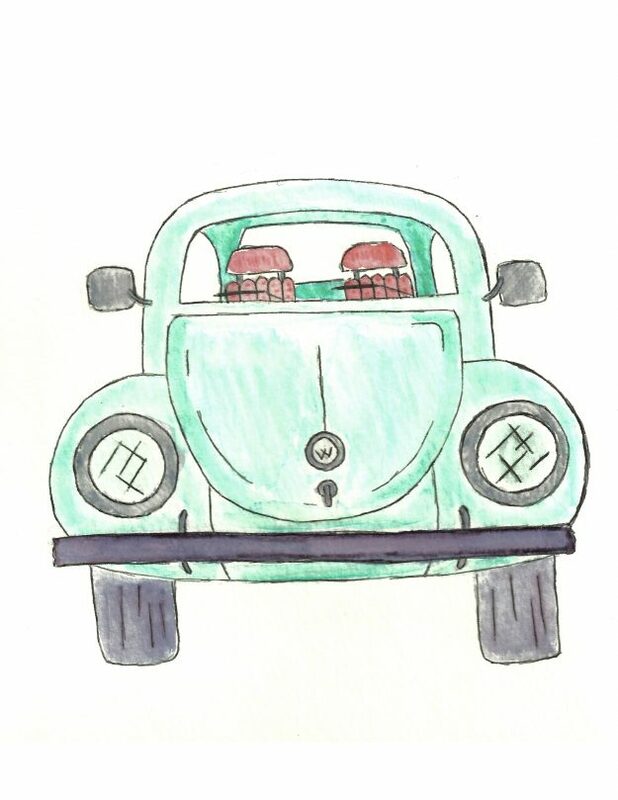 There’s huge set of them, but I thought they were so pretty that I’d share them one or two at a time – starting with this cute vintage style VW bug! It’s completely free for personal use – you can either right click above and save it to your computer (or hold your finger down and swipe up to save to your phone). PLEASE NOTE: This print is free for PERSONAL use only! This is fantastic, thank you for sharing. I love everything that is vintage and free too !! I really, really LUV this. Thank you. And I’m gonna try that technique, too. Thanks Gail, I hope you love it as much as I do, good luck! 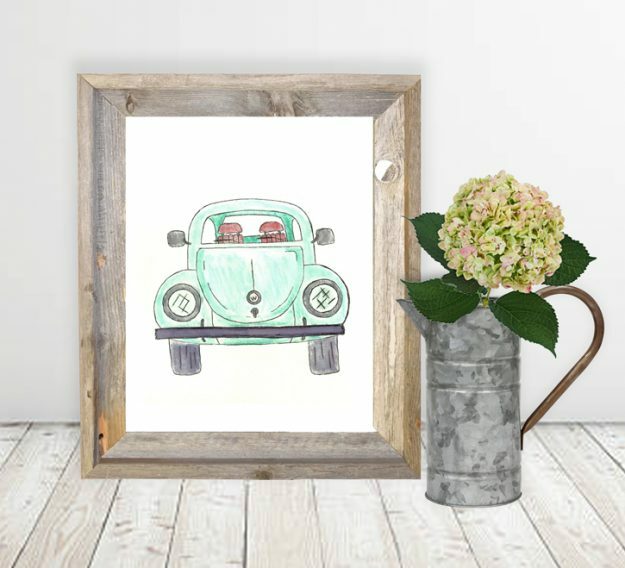 Would you have a print of an white VW bug convertible ? Thanks so much! I drove a VBW beetle for 15 years, I love them so. Your daughter is very talented, thank her too. Thank you for the free VW print. I am going to stick a photo of myself and my daughter on the headrests of the VW before I frame it. I am doing one each for the twins as well. Me and each of my girls and giving it to them as a small gift. They will love it! Aww, what a sweet idea Wilna, I love it! !